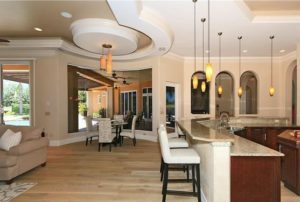 If you have been looking at properties in Naples, specifically at golf communities with country clubs, one of the places that you may have noticed is called Lely Resort. It’s one of the more popular places, not only because of the golf courses that they have but the amenities that the offer their members. It’s even better if you can find a home that you would like to purchase. If you can imagine a life where you can wake up and drive your golf cart five minutes down the road to tee off, this is the place that you ought to live. This is what you will find if you become a member of Lely Resort, specifically the top three amenities that members appreciate. What this resort is most known for are the three beautiful golf courses that it has available. This is the most attractive feature of this locale, second only to the homes that are available. Lely Resort Golf & Country Club is one of the best golfing communities with 54 holes, divided up into three of the best golf courses you will ever play. This includes The Mustang, The Classics, and The Flamingo Island. Membership has its privileges, allowing you to schedule times when you will play in advance. There are also tournaments where you can compete. People do weddings here, and other types of events, primarily because it is so beautiful at this location. There are also amenities that you may want to consider when you are thinking about moving to this area. Aside from the golf courses and many amenities, it is a centrally located golfing community that will put you right in the midst of Naples. This city is aptly named, a beautiful destination that caters to people of all ages. Many of those that live there are very well off. Some of the more affluent members of the society have multimillion dollar homes. Some of those can be found at these golfing country clubs, some of which are located at Lely Resort real estate. Once you see a little bit of information about the different homes that are available, you will see that there will be several that are going to attract you. It could be their layout, the size of the home, or the view that will be provided for you. It could be something as simple as proximity to the golf course. Is It Difficult To Purchase A Home At This Resort? It is very easy to find a home here. It has to do with the broad range of prices that are available. They have minuscule homes, those designed for individuals or couples. There are also extravagant homes, multimillion dollar creations that have beautiful views and substantial amounts of property. It is a place that is very diverse, catering to people from many different socioeconomic backgrounds. It is better if you do have some money, allowing you to enjoy all that this golfing resort has to offer entirely. If you do have a goal of one day living in a golfing community, Lely Resort is the place to be. It may very well become your favorite place that you have ever lived because of all that it has to offer. It’s not just the golf courses, but also the amenities that come with living there. You get access to so much. Best of all, you will also be one of the chosen few that is allowed to live in this beautiful gated community with golf courses, great clubhouses, and so much more. Interacting with local realtors will ultimately lead you to a home that you will want to purchase. Once you have it, and you also have the membership that provides you with amenities, you will be glad that you signed up. It is one of the best ways to enjoy a life that only golfing community can provide, and you will be able to look forward to waking up every day. Find out more about Lely Resort, one of the top resorts in all of Naples that hundreds of people appreciate.